Address: 111 Couture Cres. S.W. 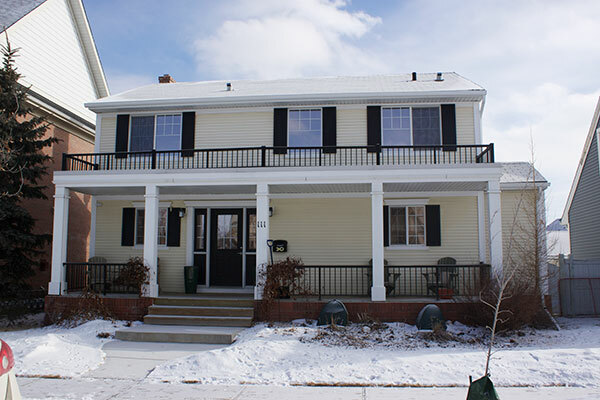 One neighbour appealed development of a secondary suite across the street from his home. He argued the development’s proposed expansion to accommodate a three-car garage was not in keeping with the neighbourhood planning principles and would increase traffic in a neighbourhood already experiencing busy traffic for its size. He also argued that the size of the development would be out of context in the neighbourhood, being that it’s the only property along the lane that exceeds 13 metres in width. Finally, the neighbour argued that the property exceeded the requirements for parcel height, depth and area, and should not require any bylaw relaxations for development. The board also heard from a second neighbour who stated that in addition to the proposed development not keeping with the context of the lane ways, the development would affect his property and his comfort in his home. He argued it would block sunlight from his backyard and the interior of his home and would increase the shadow area in July, August and September. The neighbour concluded that the proposed development would negatively impact the value of his property and that he would have appreciated some form of community engagement from the property owner. At the east elevation along the lane, the second storey secondary suite will be stepped from the east elevation wall of the garage by a minimum of 0.3 metres.